The United States Court of Appeals for the Federal Circuit heard a case earlier this week involving a fine point of patent law with major implications for public health and science: Can individual human genes be patented by private companies? The United States Patent and Trademark Office has, in fact, been saying yes for years. According to one 2005 study published by the journal Science, gene patents for 20 percent of the human genome — or more than 4,000 genes — have been created, despite court precedent that says no one can own the "products of nature." This particular case, brought by the American Civil Liberties Union and the Public Patent Foundation on behalf of several cancer patients and scientific organizations, revolves around a pair of genes associated with an elevated risk of breast and cervical cancer. The genes BRCA1 and BRCA2 have been patented by the private firm Myriad Genetics, making it the only company that can test and diagnose women for the mutation (at a cost of a few thousand dollars). "Everybody that we&apos;ve talked to — and we&apos;ve all talked to doctors and told them about this case — everybody&apos;s shocked to know that this DNA is patented," said Sabrina Hassan, senior counsel for Public Patent. 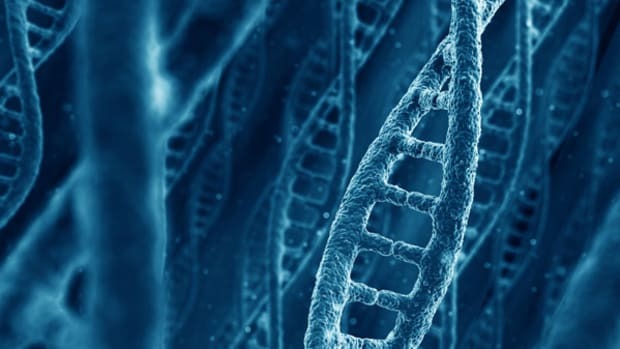 Last March, a federal court in New York agreed that genes shouldn&apos;t be patented. And then in the fall, the federal government surprisingly filed a friend-of-the-court brief agreeing with the cancer patients and the district judge in Myriad&apos;s appeal. Neal Katyal, the U.S. acting solicitor general, argued in court alongside the ACLU&apos;s lawyers on Monday, effectively opposing the government&apos;s own longstanding policy on the question. That move looks like a "change of heart" on the government&apos;s part, said Aaron Kesselheim, an assistant professor of medicine at Harvard Medical School. He and colleague Michelle Mellowrote about the case in the New England Journal of Medicine last May, tracking a historical context in U.S. gene patent policy that now appears to be shifting. "It is significant," Kesselheim said, "that the government has come out on the plaintiffs&apos; side on this case and said this probably is not what the Patent Act was meant to cover." While the human genome is obviously a product of nature, the patent office has long approved applications by companies for the work of isolating individual genes. Myriad holds patents both on the isolated BRCA1 and BRCA2 and on the process it uses to compare those genes when diagnosing women for the risk. The lawsuit rests largely on the question of whether merely isolating something in nature should make it patentable — and the court&apos;s ultimate answer would affect not just these two genes but the notion that any DNA is patentable. "If a surgeon cuts me open and slices out my kidney and takes it out and holds it in his hand, it&apos;s an &apos;isolated&apos; kidney, but it&apos;s still a kidney," argued ACLU lawyer Chris Hansen in court on Monday. "It&apos;s not an invention." The ACLU has also argued that patenting the process of comparing DNA, as Myriad does in its diagnostic tests, is akin to patenting thought. Myriad counters that gene patents are essential to luring the investment money needed to conduct the research that isolates such DNA in the first place, allowing for the development of advances in personal medicine that benefit society as a whole. Both parties are, in a sense, arguing that their positions benefit patients. And this touches on the other big question raised by the case: Does society stand to gain more when patents encourage financial investment in scientific innovation or when public ownership of genes spurs wider research and cheaper diagnostic tools? Kesselheim pointed to one recent study that has tried to answer this question. Economist Heidi Williams compared gene sequencing by the public Human Genome Project with the private firm Celera to determine whether intellectual property rights really spurred innovation. She found that assigning intellectual property to genes sequenced by Celera led to less future research and product development than did the public effort. If the appeals court upholds the earlier decision in the BRCA case — a substantial break in policy for gene patenting, Kesselheim said, but a narrow one that would not extend to other naturally occurring substances like proteins — Kesselheim predicts society won&apos;t lose out on important basic research. After all, much of the work in this area (including research that led to the genes Myriad ultimately patented) is supported by the government. But this is a separate policy issue. "The government is funding this initial research, and on the other hand, patients are paying extremely high costs for the output of the research," Kesselheim said. "That means patients are paying twice — once in their taxes and once out of their pocket — for the same output."